Before visiting Greenwich I must admit I wasn’t sure what GMT stood for, I just knew it was the local time zone for London during the late Fall/Winter months. Coming from America’s Midwest, we are on the Eastern Standard Time (EST) or Central Standard Time (CST), depending on where you are. But my husband’s curiosity lead us on an adventure one sunny weekend day, and after a Tube and boat ride, we were in Greenwich. Charles II built the Royal Observatory in 1675, and appointed the first Astronomer Royale, John Flamsteed, to help solve the ‘riddle of longitude.’ The Flamsteed House, the original structure, was designed by Sir Christopher Wren and was the first purpose built scientific research center in Britain. In 1851, the Prime Meridian was established, and in 1884 was adopted by the rest of the world as the official dividing line of the Eastern and Western Hemispheres. So on this spot you can literally stand with one foot in the Western Hemisphere and the other foot in the Eastern Hemisphere. 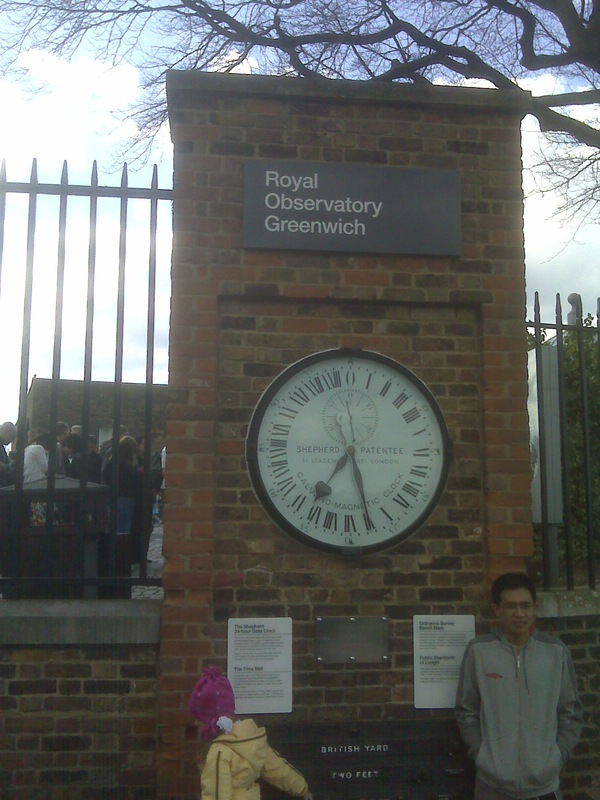 Until 1954, the time observations made in the Greenwich Observatory was what GMT was based on; today, other observatories are used. 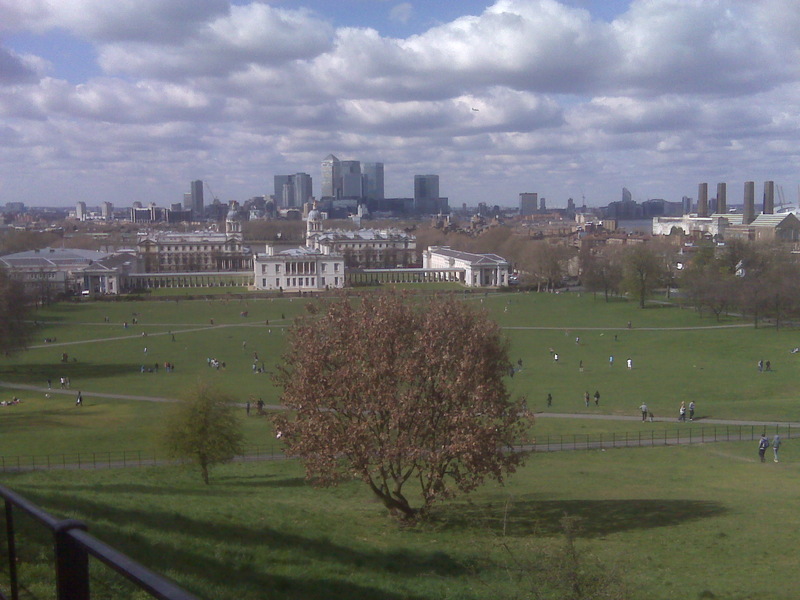 I’m not sure what my husband liked best, literally walking over the Prime Meridian that runs through hilly Greenwich Park, or finding a good local brewery nearby. Which he liked best? That’s a tough call and one I bet even he couldn’t answer 🙂 Love the picture. So interesting–Dad will love it! 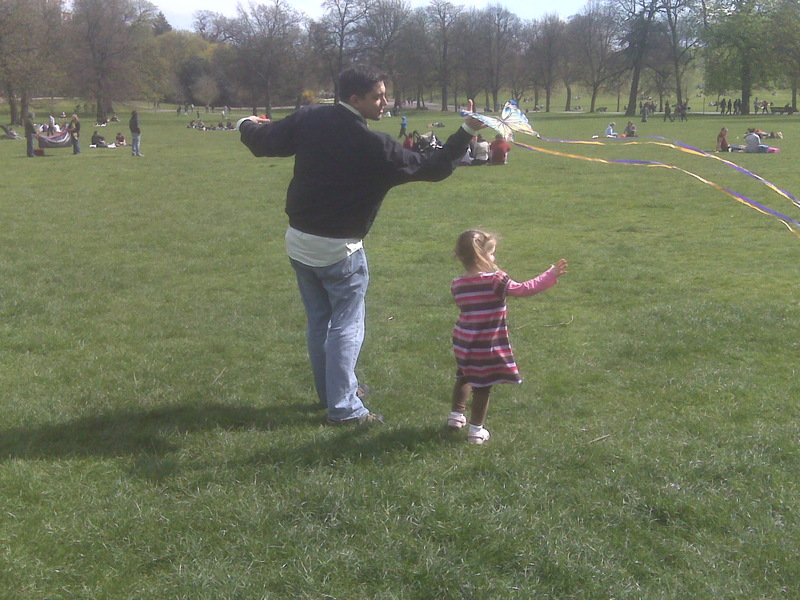 I also love the photo–looks like Ella had a great time also.